1. TMy question is this: if ever you do get around to reviewing Star Wars Command, Star Wars Hot Wheels, Star Wars Revoltech, and other Star Wars toylines not scaled to 3.75", will they be featured in Galactic Hunter's FOTD or 16bit.com's FOTD? I don't recall ever having seen anything but 3.75"-scale figures in the former, but having Star Wars in the latter doesn't seem right either. Which will it be? As you may have seen, I did kick off Command right here at Galactic Hunter but I'm tempted to do more with it - maybe some sort of grid showing off which figures comes in which sets. Right now any Star Wars stuff will be part of Galactic Hunter, but I'll most likely link to it on 16bit.com as it makes for good filler. You may not know this, but repurposing my content as filler is quite popular these days. They will not appear in FOTD (right now, anyway) unless they're Hasbro 6-inch or 4-inch action figures. If I look at Hot Wheels, it will be on the main site here. If I do Revoltech (spoiler alert: I won't*) it would also be on the main site. There are a few non-3 3/4-inch (and non-action figure) items in FOTD, but that was a while back when I thought I'd kill myself if I had to write up another Clone Trooper redeco. It's hard to impart that it doesn't matter if it's super-articulated or not - do we need another one? Since what gets reviewed here is stuff I bought or was paid in, that means reviews of Star Wars is limited to what shows up because I wanted to have it. So Command, Hasbro figures, this sort of thing I enjoy. I'm even working on an off-topic feature that I think you may get a kick out of, just because it fits nicely and frankly I want to write about things that get me excited - it's a lot more fun to write about something that pleasantly surprised you rather than made up that one terrible month where every FOTD was a Clone Trooper. That was fun, though, as it eventually made my point when the hate mail started rolling in that I wasn't doing anything but Clones... hey, gotta review what's here, man. * - It's not that I don't expect it to be good - it's just that I don't care. I've got my 6-inch Black Series, I'm pretty happy with that. When it comes to collecting stuff, I want my higher-end items to be really big, really old, or something that comes with a degree of legit bragging rights. "I bought this online at an importer" just isn't a fun story - but "I had to rent a van and drive 8 hours to get this back to my home" certainly is. I hope those who buy these higher end figures love and treasure them, but after doing this for so long I'm less inclined to branch out unless it makes me feel warm and fuzzy on some unexpected level. 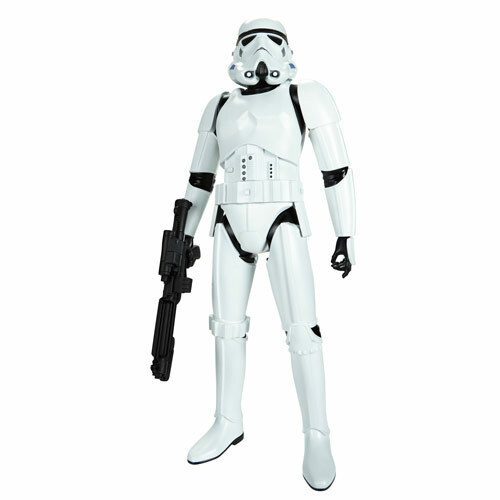 Support Our Sponsors - Order Your Toys at Entertainment Earth! 2. [Paragraph trimmed.] Also, why would people think that the super articulated [3 3/4-inch The Black] series would come to an end instead of run parallel to the 5 POA line? Lastly, what is this about Hasbro showing only a 1/3rd of what they had planned because of the bottle-necked merchandise situation at retail and peg warmers etc? I don't get it. I was disappointed as anticipated, and my expectations were set at very low because whoever has been managing the brand has done a bang-up job running it to the ground! The bottleneck issue is not a new one - it is on this scale, but we saw it before. A bunch of items ceased development in 1998, and the final waves didn't make it out widely - the last "Collection 3" wave (Death Star Droid, Pote Snitkin, Hoth Leia, AT-AT Driver) were retail exclusives in the USA, while the Collection 2 Expanded Universe figures didn't make it to many stores. We saw more such problems around 2011, with some The Clone Wars items also not making it out, alongside a long delay of several Vintage Collection figures for about a year. In 1998 we saw a really astounding back-up at retail to the point on-pack coupons for action figures barely helped clear out the dead weight - once the collectors and kids stop caring, even getting them down to 99 cents wasn't enough to move them out of some locations. Hasbro hasn't tried that lately (nor would it be wise on a collector brand) but there is a Walmart in my neighborhood that is only just now marking down its wave 1 2012 Vintage guys. I'm not exaggerating - it was this weekend, after the cards are torn and ripped, over 2 years after their release. In the 1970s and 1980s an action figure line did very well thanks to the fact all kids were basically into toys and were interested in buying things that were mostly new and exciting and unique to their generation. Collectors of that era bought kid stuff - even the "collector stuff" was kid stuff. Another big advantage of "one size fits all" is there is no division. We are legion. If Hasbro killed off 5 POA, or super-articulated, we'd all probably see some benefit and personally I'd be happy to see either one go if it meant the other one improved. With the prequels - and to a lesser extent, the comics and novels and games - we saw little schisms. People stopped collecting them all - the rumor I've heard before was that 250,000 figures were made in 1995 for some characters and that's no small run... assuming it has much truth to it. (For Star Trek, it was.) Many of those figures were bought by collectors buying 2, 4, or even dozens of some characters to invest or troop build. They're all still mint in the packaging, causing collector burnout through speculation or the abrupt evaporation of the concept of "spare room." 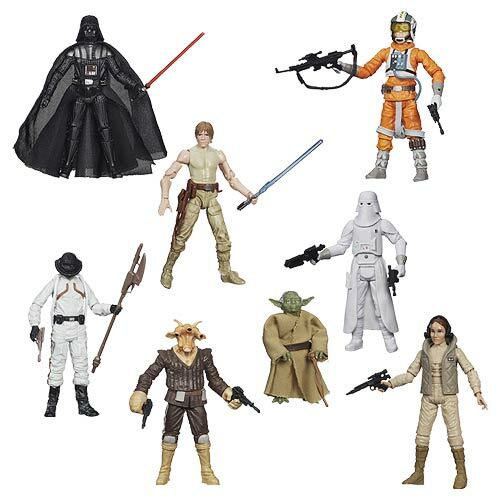 So here we are, 19 years after action figures for Star Wars came back. Not only do we have narrative splits in collecting, but we have at least three very different styles of action figure desired by collectors - Black Series, 6-inch Black Series, and 5 Jointed figures all compete for the same dollars and after 19 years of 16 to 350 figures per year (2006 and 2007 were some good years) people simply won't buy everything. The reduction in variety now gives our community pause, even though we're told it shouldn't it's not like we're being showered in new super-articulated figures. 2-3 waves a year? That's dull. With The Black Series, we saw a loss of some characters. The much-desired build-a-droid was cut due to a need to reduce costs. Also, Hasbro had a policy to reduce the size of most of their lines - in theory kids don't buy that many toys, so putting out hundreds of figures when the average kid stops at 6-12 seems counterintuitive. On the other hand, collectors have short attention spans - we need to have a figure we just bought, another one we're looking for right now, and at least a dozen to look forward to in the next few months. And we haven't had that in a while, I have (as far as I know) no reason to go toy hunting for at least another month or more plus most of the "collector" Star Wars stuff between now and February isn't too exciting. 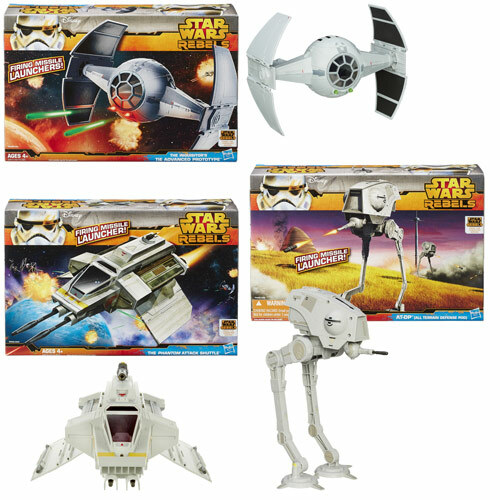 Given the slow trickle of The Black Series it seems by edict or poor planning, that line is boring itself to death. Wave 5 just shipped, but we only received 2 waves in 2014 and August is almost over. "Everything is fine" is usually a way to distract people while you're regrouping. With the new movie we should have a better idea of what's going to happen. If we keep getting super-articulated figures, everything is peachy. If not, well, look at G.I. Joe. With Retaliation, figures lost articulation while prices went up and distribution went down. It's just not Star Wars going through this. As a wise man once said, "There all is aching." 3. I'm a little confused about the Wal-Mart Millenium Falcon being released. The posting says there is no action figure compatibility. Does this mean it will be sealed with no way to put in a Han or Chewie to fly, or just that it won't have the bells and whistles of the previous releases? Also, how long do you see the 6" line lasting? At least the main characters and some secondary characters? I doubt Hasbro would release some of the more obscure characters in the line. But who would have thought they would have brought out the all white Boba Fett this early? The entire concept of the "big ship" is "cheap toy." I don't mean this in a derogatory sense - toy companies need to figure out how to reduce costs and provide value, with this being a new concept aside from the one we prefer. The 31-inch action figure did well for Jakks Pacific, so Hasbro is trying the 31-inch vehicle. The new Millennium Falcon (along with the new X-Wing) is a big ship - like a model, or an oversized Titanium Series toy. In some interviews, it was said that the original concept for Star Wars toys were that the vehicles were the moneymakers and that the action figures themselves were the accessories. This is, in many respects, a return to that sort of concept - but disregarding figure compatibility. Each moving part adds cost and changes safety requirements. As such, to get a big, cheap vehicle you have to effectively gut it. Will it fly? We'll see. Walmart is impatient, but I could see it being a success especially if it is part of their Black Friday strategy. Big vehicles are not a play pattern many of us would consider - RC cars, sure. Die-cast metal, absolutely. The thought of flying around with a big ship does feel more than a little silly, but therein lies the experiment - Hasbro knows it's not for older fans and collector buyers. Hasbro wants to see if kids like the idea, and odds are that their testing said that it did. If it works, we'll see more. If not? Well, as another great man once said "consider how lucky you are that it won't be troubling you much longer." Most of the people writing in here dislike it, but a few - like me - after getting their hands on an X-Wing wanted a TIE Fighter to go with it. I hope it does well enough to warrant one or two more, but in all honesty I don't think I want to see a giant fleet hanging from the ceiling in my home. The 6-inch line should eventually eclipse the 3 3/4-inch Black Series line for collectors in terms of concurrent releases - obviously, 3 3/4-inch is and will always be king due to the high quantity of exisitng releases. It might take a while to ramp up, but it wouldn't stun me - as long as Hasbro has 2 warring factions in 3 3/4-inch - to see growth here. $40 for a Wampa with Luke? That's ridiculously good. The all-white Boba Fett is an smart candidate, but it's to appease a potentially huge customer. Walgreens is making a big push in their toy aisles, with far more product (especially Hasbro product) at prices that are lower than they used to be. Granted, if they didn't get it, I'm sure another online toy seller would've asked for it and maybe even got it made as an exclusive. You have to make the most out of your tooling, and if you follow toys closely you may actually be shocked of how few repaints we've seen at this point. Hasbro loves doing those things and it's a deco-only example of low-hanging fruit. 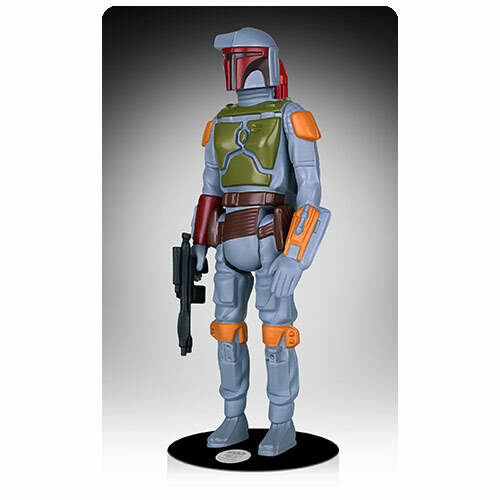 Also, Boba Fett is a huge, huge seller and Hasbro would be wise to take advantage of his popularity. People want to buy him, so why not let them? 4. Is the new Marvel Infinite series in its own scale? I know not every line pays attention to scale like Star Wars does, but before this Marvel at least seemed to pay lip service to the concept. But the new Omega Red is bigger and almost as beefy as the Hulk, and Valkyrie dwarfs Captain America and tops out a little taller than (movie) Thor. Has TPTB behind this line just said screw it, or are they introducing a new scale, or...? This strikes me more as a complaint than a question, but it's one we've tackled within Star Wars as well. Hasbro's Marvel reuses a lot of bucks to save money - so sometimes, a character may be a little bigger or smaller as a result of cost-cutting measures or outright goofery. (See: the changing bodies of Transformers Generations Nightbeat.) Ultimate Green Goblin in Marvel Legends is Avengers Movie Hulk with a new head, fire, and long fingernails. We've seen many size discrepancies within Star Wars from the very beginning, and you can see it again in Command with overly large TIE Pilots and a slightly too-small Darth Vader. In short: they try. They don't all succeed and will likely try again. Please continue to vote with your dollars, blog posts, reviews, and so on. I had a whole other thing here but it was another one of those feel-good things on fan arguments and the evolution of the line, dating back to 2002. I'll sum it up to get on to something else: in 2002, we had Hasbro experiment with a lot of styles. Some figures were statues, some were ultra-deluxe special guys like Ephant Mon, and some were like Bespin Luke Skywalker which was outfitted with multiple accessories, action features, and the closest any figure ever had to super-articulation for that time. We argued over what was better, which was ultimately quite silly - the many experiments gave rise to Hasbro trying new things with articulation, sculpting, and even continuing trials with higher-cost 3 3/4-inch figures which yielded the undervalued Ultra line of 2004. The experimentation we see going on in The Black Series again may ultimately yield positive changes, but we won't know for sure for another year or two. Right now, the best thing that can hope to happen to the line is that the new movie results in higher volumes, lower manufacturing prices, and more new fans. In 1999 Hasbro raised the price because they could - and it paid off. However, they lowered it significantly in 2002 ($4.99 at most retailers) and 2005 ($5.24 at most big box retailers) and the results seemed to be more sales and more interest - the 2005 wave lasted 2 very good years, with slightly higher prices and better figures to follow. I'm looking at now like Power of the Jedi in that it was kind of expensive, and some of it was pretty great, but it was still an intermediary step. I have to believe things are going to be even better for the new movie. So, what did I want to talk about? I'm glad you asked - toy trends. Walmart, Target, and the rest are resetting this week and I'm seeing some strange things that caught me unawares. Star Wars Command, the army men, weren't created in a vacuum - other companies are following suit. Toys R Us has been making their own army men (and Orcs, and pirates) for some time but it looks like Walmart is getting in on this, and Target is carrying a new range or is contracting their own. Tim Mee Toys also has a slate of smaller, pre-posed figures for the remainder of this year, all made in the USA, all made from vintage molds. Love it or hate it, tubes and buckets of figures are making a big comeback. Walmarts are particularly interesting - $5 buckets of dinosaurs, farm life, and army men just like in the olden days and often put on-shelf near the reduce Schleich section. This is usually near the similarly reduced Action Figure section. This kind of toy trend is significant - the "ReAction" faux Kenner thing came up along Bif Bang Pow! 's The Twilight Zone line, consulted on by very smart and handsome people. Zica Toys blew away my expectations with high-quality 3 3/4-inch The Six Million Dollar Man, and as of last week Toys R Us started stocking Funko's Terminator ReAction figures for ten bucks a pop. But the army men - this is sort of a surprise as it seems to be exploding into new categories. Target has tubes of 96 figures for about $5 each, made by Blip Toys. Monsters vs. Military and Ninjas vs. Robots are there now - and they aren't too bad. Walmart just dumped Imperial tubes of Army vs. Cavemen, Zombies vs. Anti-Zombie Squad, and Pirates vs. Ninjas, also about $5 for about 100 figures. Tim Mee Toys has high-quality vintage remakes of the Galaxy Laser Team and other figures, usually around $12 for 48 or so figures. Hasbro, on the other hand? $5 for 9 figures on the low end - previously, they had Marvel Handful of Heroes for about $7 for 7 random figures. Pricing is the area where Hasbro is suffering - the quality is there, if you like this kind of thing, Hasbro's are really quite well-made. But can you compete with a 5-cent trooper, or in the case of Tim Mee, 25 cents? The category could just be getting a temporary upswing, but as a lot of you have your noses in the 3 3/4-inch book I'd love to point out that there are some wonderful collecting circles for these minifigures, mono-colored figures, and the like. Minifigures XD, Little Weirdos, and the invaluable Little Rubber Guys Forums. They're often found in vending machines and ignored by action figure collectors (and the high-end people) but there's a lot of surprisingly interesting stuff here, from knock-offs to legit new creature designs. I'm rather fond of them, even if I have to buy 96 figures to get 12 different ones. It's still five bucks. Also if I ever stumble on the Space War figures I'm totally going to buy a set.